McDonalds “Baby” is one of the nominations for Most Outstanding Commercial at the Primetime Emmy Awards being held on September 18 in Los Angeles. 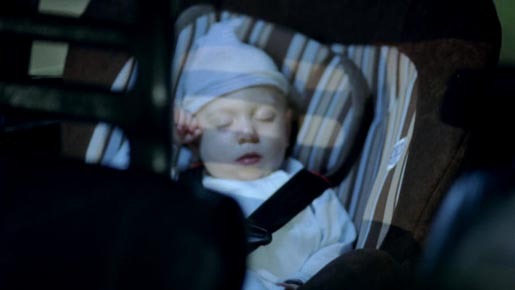 The commercial, launched in April 2010, features a dad whose attempts to keep his baby asleep involve driving around in the car in the night. He manages to get an order into the McDonald’s Drive Through attendant, but only by circling a few times. The McDonalds Baby ad was developed at TBWA\Chiat\Day by chief creative officer Mark Figliulo, copywriter Erik Fahrenkopf, art director Anthony Decarolis, executive producer Matt Bijarchi, senior producer (Media Arts) David Fisher. Filming was shot by director Fredrik Bond via MJZ, Los Angeles, with director of photography Joost Van Gelder, executive producer Eric Stern and line producer Anita Wetterstedt. Editor was Gavin Cutler at Mackenzie Cutler with assistant editor Mona Salma and executive producer Melissa Miller. Music was produced at Human Worldwide.